It’s a new year and for colleges across the nation, it is also a new semester. With the spring semester just getting under way, it’s a great time for students, their families, and their universities to consider the risks students may face while at school and evaluate how best to protect them. Whether your student is a second semester freshman starting to get the hang of college life or a second semester junior setting off for her study abroad program, the risks college students face are unique to their life-stage. Being informed about these risks both on and off campus can help families and universities make a plan and better protect their students. With the start of tax season and the release of the 2014-15 FAFSA this month, there’s no doubt tuition is on many college families’ minds. With the average net cost of one year of education rising to $12,110 per year for public universities and $23,840 for private universities in 20121, a college education doesn’t come cheap. For many families, paying for college is a significant investment. With 4 in 10 students seeking a bachelor’s degree failing to graduate2, that’s a lot of tuition dollars at stake without a degree. Many schools have programs committed to promoting student success and supporting students throughout the semester, however, what if a medical emergency forced a student to withdraw from school? 43% of full-time college students have visited an emergency room for themselves in the past four years (source). Tuition Refund Insurance is one way for families and universities to protect their tuition dollars in the event of a withdrawal from school for a covered medical event or death. The cost of college isn’t limited to just tuition – students need a lot of gear when they’re at school. The average spending on “back to college” shopping in 2012 was $907.22 3,- what if something happened to those belongings? It’s not uncommon for students to leave their laptops or phones unattended while studying at the library, or to keep their doors unlocked on a friendly dorm hallway. But what about the risk of theft or damage? Can families or schools afford to replace those items? 70% of university housing directors believe that financial losses to students due to theft of a backpack or a computer can qualify as a college student financial crisis4, yet, 53% of parents were unaware of their child’s college or university policy for replacing a student’s stolen or damaged personal property5. Like landlords in an off-campus apartment building, universities most likely will not be responsible for replacing a students belongings, even if they are compromised on campus. For families and universities, insurance may be able to help offset the costs of replacing items affected by theft or damage. Many parents assume they already have personal property coverage for their student under their homeowners insurance, but this is not always the case. Parents should review their homeowners coverage to see if their students are covered. They likely will not be if they are not full-time or if they live off-campus. Renters Insurance can help families get protection at a low monthly cost, and schools that offer students Renters Insurance can benefit from decreased exposure. It’s smack in the middle of flu seasons and a good time for parents and their students to evaluate their health coverage. Under the Affordable Care Act, enrollment in the Health Insurance Marketplace is now open until March 31st, and can help families and students find coverage. Schools can help students and their families by providing support and information on campus about health risks pertaining to students. From studying abroad to studying across the state, many students leave home to attend school. Over 270,000 students studied abroad in the 2009-10 school year (source). Traveling far and wide for school can make it difficult for students to return home in the event of an emergency, or if the student has traveled to a remote location, make it difficult to find adequate healthcare nearby. Benefit protection products, like the Student Protection Plan or a Travel Insurance plan, can offer students and their families a way to ensure they’ll have access to travel to reunite in hard times or get access to healthcare while studying far away. Schools offering their students these products can help bring awareness to these risks as well as help support their students in their adventures. College students face unique risks, but there are many ways to minimize those risks. Exercising caution, making healthy choices and unique insurance products suited to college life are all ways students and their families can help safeguard themselves and their education investment. 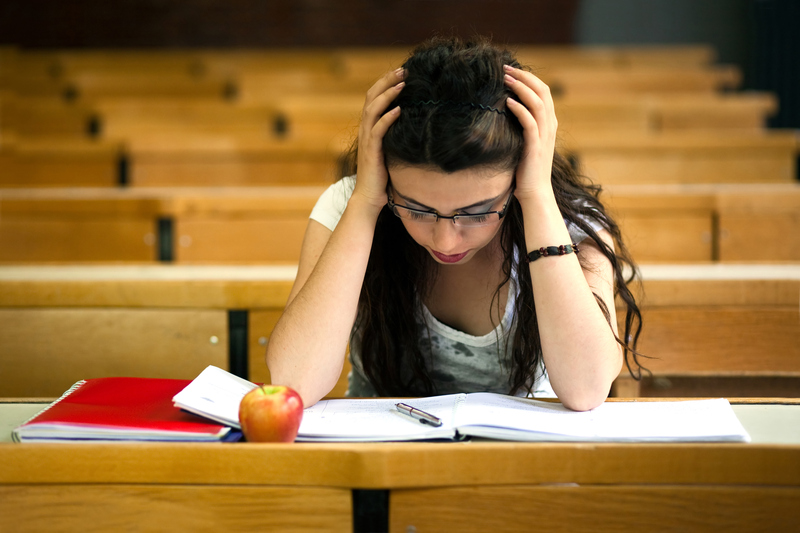 For students, parents, and universities, learning more about the risks students face, though unpleasant, can help them evaluate and mitigate their risk. 5 Sallie Mae Insurance Services, June 2013 Report on Parent Survey of Risk and Concerns.